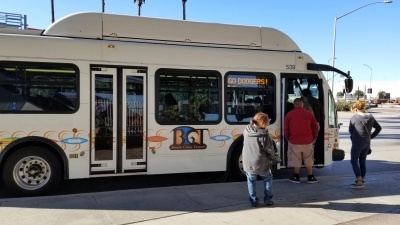 Beach Cities Transit provides local bus service in the cities of El Segundo, Redondo Beach, and Hermosa Beach. It connects with Los Angeles Metro Rail Green Line. Riders age 62 or over qualify for senior fares. RCT also offers discounts on Metro and EZ Transit Pass for Redondo Beach residents. This page was last edited on 6 December 2018, at 03:05.